What Happens When You Don't Eat? The human body needs fuel to do all the things it was intended to do – to move, to grow, to change. But what happens to your body when you don’t eat? The human body is a powerful machine that has ways to adapt to a lack of food, even for long periods of time. You probably already know that your body can deteriorate and you can die within days without adequate water, but what about food? If you are well-hydrated, the human body can survive a long period of time with inadequate food intake. What happens when you don’t eat depends upon several factors, including your body weight, your genetics, your overall physical condition, and of course, the availability of fresh water to keep you hydrated. Six hours after eating: Your body breaks your food down into glucose, which is the energy you need to get through the day. After about six hours or so, you might start to feel hungry. Twenty-four hours later: Your body will start to produce ketone bodies. These are produced from fatty acids and can be used for energy. Your brain will use the rest of the glucose you have stored in your body, but then the ketones will be tapped for energy. Day three: Your body is now using ketones for 30 percent of its energy. Day four: Your body is using ketones for 70 percent of its energy. Within three weeks: Your body begins to break down the protein you have stored, meaning that your muscles begin to waste away. Over three weeks: Now your immune system is compromised, and you might start to experience the problems that often go along with end-stage starvation, including stomach bloating, depleted muscle mass and other symptoms. “I tried fasting for one week. I would be really hungry within a few days, but I would have plenty of water, and that seemed to fill me up. After the third day I wasn’t really hungry anymore. By the seventh day, I felt like I could go another few weeks without a bite, as long as I had enough water to get me through. It was a strange feeling! Remember, the human body is designed to need regular fuel to keep going. When you go for just a few hours without food, you might feel the side effects. Going for longer than that can lead to other problems, such as slowing of your heartbeat or your brain function. You might also become weak, feel faint, pass out, weaken your immune system, and become sick. Also keep in mind that when your body goes into starvation mode, it is ready to hold onto every calorie consumed. Therefore, when you start eating again, your body will not burn off the calories – it will instead hold onto them and store them as energy. 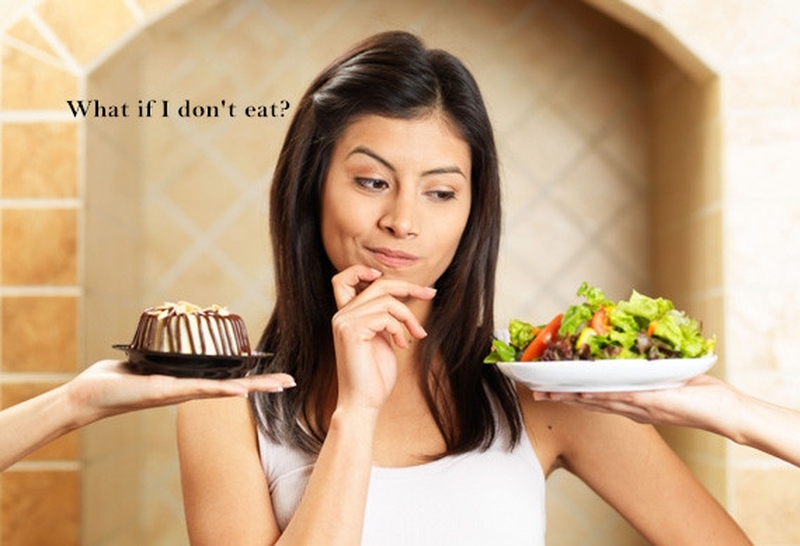 That means that you will gain weight quickly, so it is not advised to try fasting as a way to lose weight. It’s counterintuitive.